This book of wisdom and insight from the eminent Cardinal Ratzinger explains how providential are the trials through which the Catholic Church is now passing. 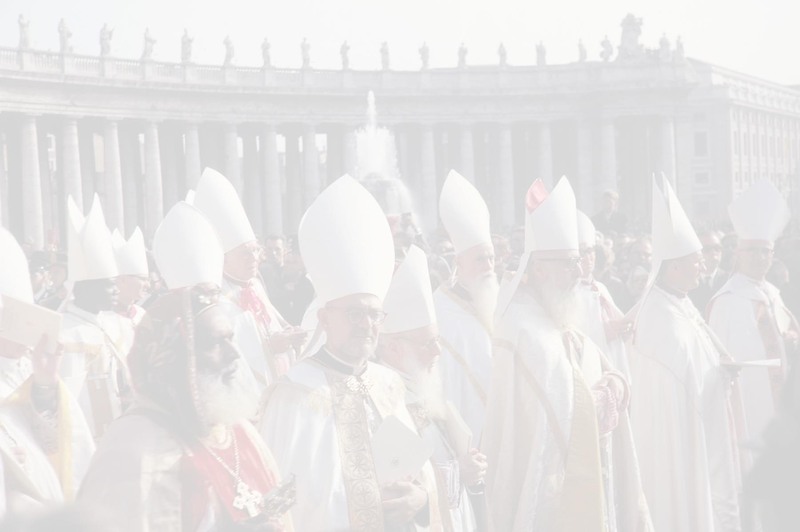 The need of the Papal Primacy to ensure Christian unity; the true meaning of the Priesthood as a sacrament and not a mere ministry; the necessity of the Eucharist as the Sacrifice of the Savior now offering Himself on our altars; the role of the Bishops as successors of the Apostles, united with the successor of St. Peter, the Bishop of Rome; the value of suffering in union with Christ crucified; the indispensable service of the laity in the apostolate--all these themes receive from Cardinal Ratzinger new clarity and depth. "This is a goldmine of insights which brings out the development of Catholic doctrine in our day without surrendering one iota of the deposit of faith entrusted to the Church by her Divine Founder." -- Fr. John Hardon, S.J. Kenneth Baker, S.J., James Hitchcock, Alice von Hildebrand, et al. Under the sponsorship of the Wethersfield Institute, eight highly respected speakers addressed a variety of topics that complemented one another, some on the mind of the Church, others on its heart. The speakers were Fr. Kenneth Baker, S.J., editor of *Homiletic and Pastoral Review*, James Hitchcock, Saint Louis University, Janet Smith, University of Dallas, Paul Mankowski, Harvard University, Alice von Hildebrand, Hunter College (Emerita), Ronald McArthur, Thomas Aquinas College, Robert George, Princeton University, and Jude Dougherty, Catholic University of America. Father Baker speaks on "Pope John Paul II and the Catholic University", providing a crisp account and analysis of the Apostolic Constitution on Catholic Universities. James Hitchcock's talk, "Learning Among the Ruins", gives a historian's perspective on how we have gotten to our present situation. Dean Jude Dougherty gives insights from his decades of experience on "How to keep a University Catholic". Robert George provides a precise introduction to the vexed question of "Academic Freedom." Ronald McArthur, founder of Thomas Aquinas College, speaks on "Thomism in a Catholic College." Father Mankowski addresses the topic, "The Church's Worship", as it ought to be and as it is degraded by liturgical ad libbers. Janet Smith celebrates the wisdom of the Church's teaching on the dignity of woman in her talk "The Lay Woman in the Church." Finally, Alice von Hildebrand reflects on the meaning of suffering in "Women and the Mystery of Suffering." Cardinal de Lubac traces through Christian history and the Scriptures the living tradition of the maternity of the Church and the paternity of her ministers. Von Balthasar masterfully examines the history of the "anti-Roman attitude'' and analyzes the role of papal authority in the Church. Considered by many the bright jewel among the many enriching books of Cardinal de Lubac, this is a hymn to the beauty of the Church at whose hands he had unjustly suffered. This is a personal testimony of the great theologian's humility and love of the Church of Christ. Two experienced home schooling moms present a very thorough, balanced and practical guide to the merits of home education, as well as the important resources and curriculums to home school. They cover all aspects--statistics supporting home schooling's excellence, the nitty-gritty of lesson plans, and hundreds of ways to keep the fun in (and boredom out) of learning. Most importantly, they offer compelling advice for parents as they undertake their child's religious, moral and intellectual formation. This is a reliable guide for Catholic parents who want to stay close to the heart of the church in the schooling of their children. The authors demonstrate that home schooling is not a fringe movement on the Church's periphery, but it is squarely based on Catholic teachings drawn from Sacred Scripture, natural law, and the popes. A unique book that presents the Church's much needed perspective on the role of competition, physical exercise and the importance of a sound mind in a sound body. He provides a treasured storehouse of the teachings of scripture, Popes and St. Thomas Aquinas on the integration of body, mind and spirit through sports and exercise. Taking a time-tested philosophy of learning--that children develop through factual acquisition or ``grammar'', argument, and mastery of language expression or ``rhetoric''--home educator Laura Berquist has developed a modern classical curriculum. Her model, for grades K-12, is detailed and practical, and is adaptable by parents and teachers. Proverbs 30:5-6. "Every word of God is fire tried: he is a buckler to them that hope in him. Add not any thing to his words, lest thou be reproved and found a liar."